Hangeul, one of the most unique creations of the nation, was introduced in 1443 by King Sejong (r. 1418-1450), the 4th king of the Joseon Dynasty. In order to help all commoners to easily read and write this new alphabet, Hunminjeongeum (meaning "Proper sounds to instruct the people" in Korean) was created. The name of the language was changed to the current Hangeul in the 20th century. Hangeul is a series of scientifically designed characters. The alphabet is composed of basic consonants and vowels, each with a set sound, and a dot or a line added to form more sounds. The 5 main consonants (ㄱ, ㄴ, ㅅ, ㅁ, ㅇ) imitate the shape the lips and tongue make when producing that particular sound, while the 3 main vowel components (ㆍ, ㅡ, ㅣ) symbolize the sky, the earth and mankind respectively. Originally composed of 17 consonants and 11 vowels, only 14 consonants and 10 vowels are used in modern Hangeul. 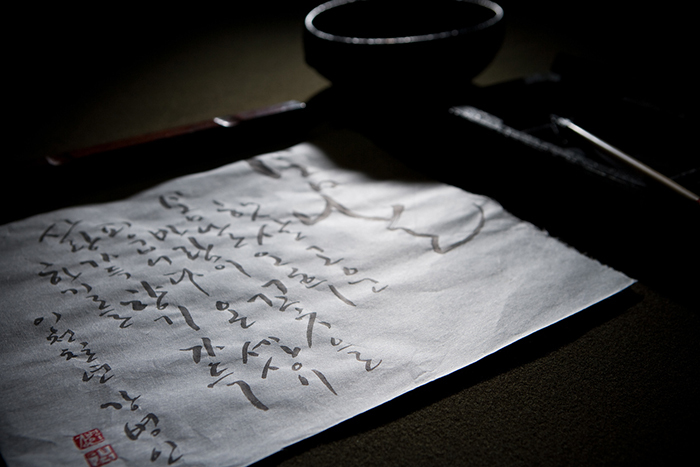 Hangeul, as a written language, did not have any influence from pre-existing writing systems. The language is very easy for all to learn, evidenced by Korea's illiteracy rates being one of the lowest in the world. Of all Korea's cultural assets, the citizens are most proud of Hangeul and thus designated October 9 as Hangeul Day, to memorialize and celebrate the invention of the alphabet. In addition, UNESCO inscribed Hunminjeongeum Haerye; The Hangeul Manuscript, on the Memory of the World Register in 1997.